The immense and diverse geographical setting of the country nestles numerous of naturally affluent locations that can better be called as Eco wonders of India. 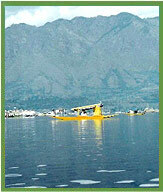 Abundant of Eco locations like beaches of Kerala and Goa, Thar desert, Ghats like Western Ghats and Eastern Ghats, Dal lake and Sambhar lake, Himalayan and Nilgiri range of hills, Tea garden of Darjeeling, Assam and Nilgiri hills, waterfalls of Abbey and Jog, rivers like Ganga, Yamuna and Brahmputra are few to name among the heaps of Eco wonders of India. These locations are origin to many sightseeing Eco tourist places which has become some of the most sought after destination for tourist all over the world. 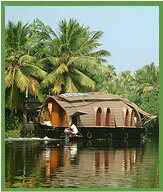 The world famous Backwater Cruise in Kerala opes a different world for tourist to explore. Sailing in the beautiful lagoons and lakes lying parallel to the Malabar Coast is worth making one's vacation wonderful. Appointed with several of sea sports and lovely sightseeing opportunity, beaches of India are great attraction for tourists. 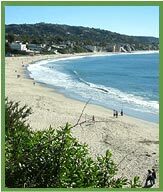 Beaches of Goa, Tamilnadu, Orissa, Kerala and Pondicherry are some of the loveliest gate away for tourists. 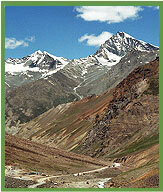 Dating thousands years back, caves of India give tourists a wonderful insight into historical as well cultural value. 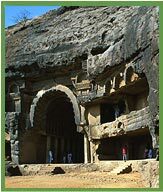 Popular caves of Ajanta, Ellora and Elephanta are prime attraction for tourists coming from all over the world. 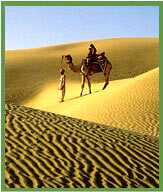 Experience the adventure of timeless landscapes and vast vast sand dunes on the desert tour of India. What can be more exciting than taking the camel ride on the golden sands, enchanting with camel riders and discovering the rich cultural and historical heritage of India. 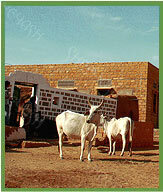 India is the home to large number of indigenous people, who are still untouched by the lifestyle of the modern world. 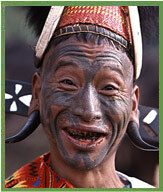 With more than 84.4 million, India has the largest population of the tribal people in the world. 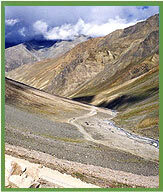 Steep mountain ranges of India, popularly known as Ghats, are filthily rich in possession of diverse range of flora and fauna. 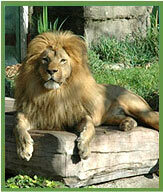 Its pleasant climate as well as splendid wildlife viewing make it a favourite vacationing spot. 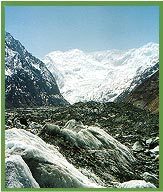 World famous for being hot spot for adventurous recreations like trekking, mountaineering and camping, the glaciers of India with its very beautiful surroundings are major tourists attraction. 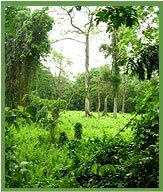 Playing a major role in ecological balance, jungles, accounting more than 20% of all geographical areas, give tourists a fine opportunity to witness the affluent natural heritage of the country. Concealing great charm in their tender arms, lakes of India are result of beautiful geographical structure and huge river line. 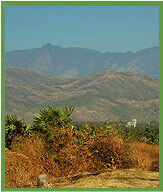 The pleasant natural setting makes it a favourable picnic spots. Mountain ranges of the country like Himalaya, Western Ghats, Eastern Ghats and Nilgiri Hills are blessed with unparalleled natural beauty. 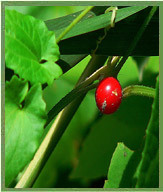 Exploring its inhabiting rich flora and fauna, high peaks and dense forests are fine delight. 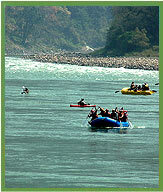 World famous rivers like Ganga, Brahmaputra, Godawari and Mahanadi are not only of high cultural and religious importance, but also it lets eco lovers indulge into sports like river rafting, camping, boating and nature sightseeing. 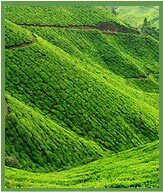 The green and beautiful tea gardens lying in some of the richest natural locations like Darjeeling, Assam and Nilgiri serve tourists a very fine opportunity to enjoy their vacation. Tourists seeking a dose of adventurous sports and rich natural sightseeing, beautiful valleys lapped by mighty Himalayas and pervaded by beautiful monasteries and temples are perfect place to be rushed to. Symbolising the true spirit of the country, the villages of India portray the rich tradition and culture of India in best way, and also offers tourists to witness the unique view of rural cosmopolitanism. 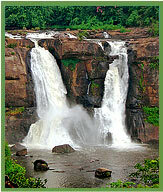 Lying in the foothills of different mountain ranges, waterfalls of India are located in rich natural landscapes, discovering to which is great joy for tourists. Spotting wild animals like Bengal Tigers, Asiatic lions, One-Horned Rhino and Nilgiri Tahr in 80 national parks and 440 wildlife sanctuaries, spreading in different locations of the country is nature lover's great exploration. Indian floral is divided into Western and Eastern Himalayas, Indus plain, Ganga plain, Deccan, Malabar and the Andman Island. 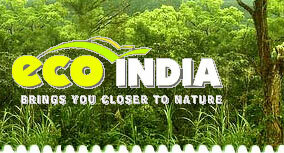 These eco zones of the country have 45,000 thousands species of plants and15000 are flower plants. 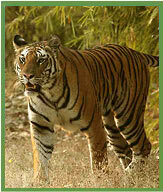 More than 86,000 of faunal species are found in different eco zones of the country. Visiting any of the hundreds of wildlife parks of the country is the best way to view and enjoy the faunal asset of the country.